How are you, gentlemen? All your base are belong to us. You are on the way to destruction. 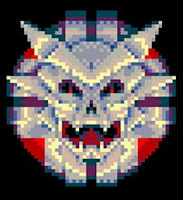 Did you ever notice that Sinistar sounds a lot like Johnny Cash? This entry was posted in classic game, sinistar, Williams on October 24, 2012 by William Hunter.